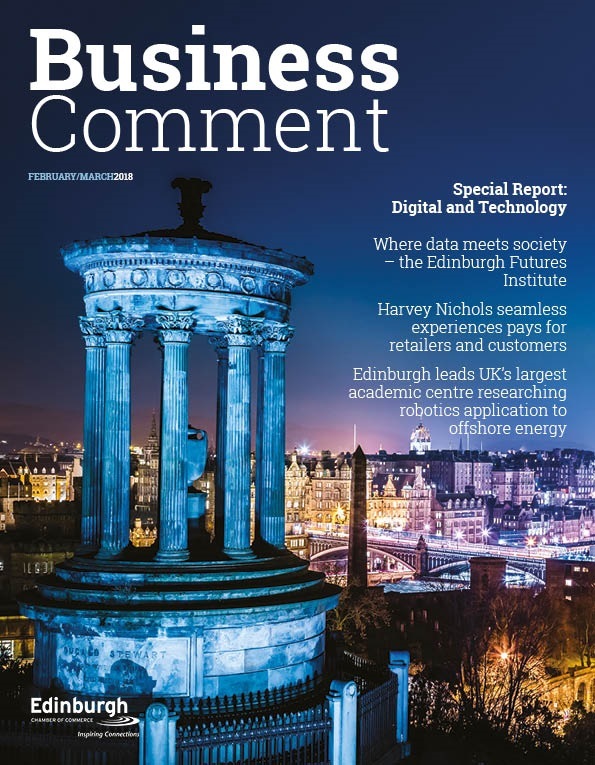 The British Chambers of Commerce’s quarterly economic survey – the UK’s largest private sector survey of business sentiment, and a lead indicator of UK GDP growth – shows little to be cheerful about as growth flatlines and business confidence weakens. The results come as all signs suggest that this year’s annual economic growth is set to be the lowest since the financial crisis. 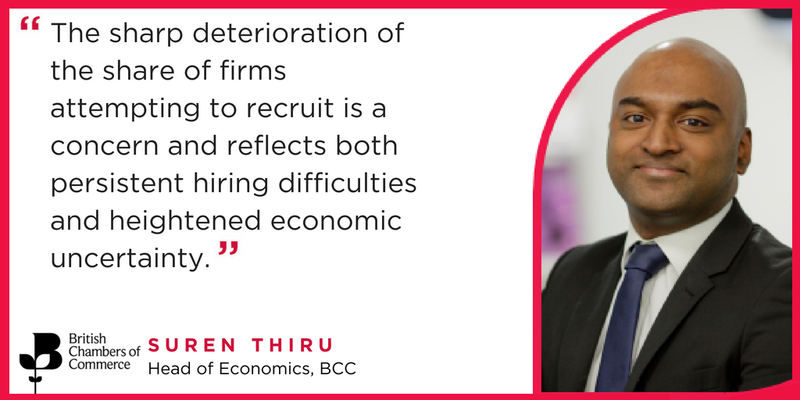 The slowdown in exports in the manufacturing sector, and many services firms seemingly giving up trying to hire new staff, should be cause for concern, warns BCC. Ahead of the UK’s departure from the EU, the leading business organisation urges the government to use this month’s Budget to deliver bold action to boost investment and confidence. The survey, of 5,600 businesses, has revealed that the percentage of services firms attempting to recruit is at its lowest level for 25 years, and of the firms in the sector that did try and recruit, the percentage experiencing difficulties rose to an all time high, since the survey began in 1989. Also, in the services sector, the percentage of firms reporting an increase in domestic and export sales and orders eased slightly in the quarter. Meanwhile in the manufacturing sector, the balance of firms reporting an increase in export sales and orders fell to their lowest in two years. The balance of manufacturers expecting their prices to increase also rose, with 81% citing the cost of raw materials as the driver of cost increases, the highest level for seven years. Uncertainty over future trading conditions is continuing to act as a brake on business investment in both the manufacturing and services sectors. The balance of firms who looked to invest in either plant and machinery or training fell in both sectors to their lowest level in over a year. Business confidence in turnover and profitability also weakened in the quarter. “These results suggest that the current period of below average GDP growth continued into the third quarter of 2018. “Activity in the services sector slackened in Q3 with the key indicators of domestic and international activity softening in the quarter. That said, the services sector is still likely to have been the main driver of third quarter growth. “The manufacturing sector remains a weak spot for the UK economy, with export activity slowing sharply in the quarter. Brexit uncertainty and the increasing cost of imported raw materials is weighing on the UK’s external position – further evidence that the persistent weakness in sterling is doing more harm than good. As a consequence, net trade is likely to have contributed precious little to UK GDP growth in Q3. “The sharp deterioration of the share of firms attempting to recruit is a concern and reflects both persistent hiring difficulties and heightened economic uncertainty – which if sustained could materially weaken jobs growth. 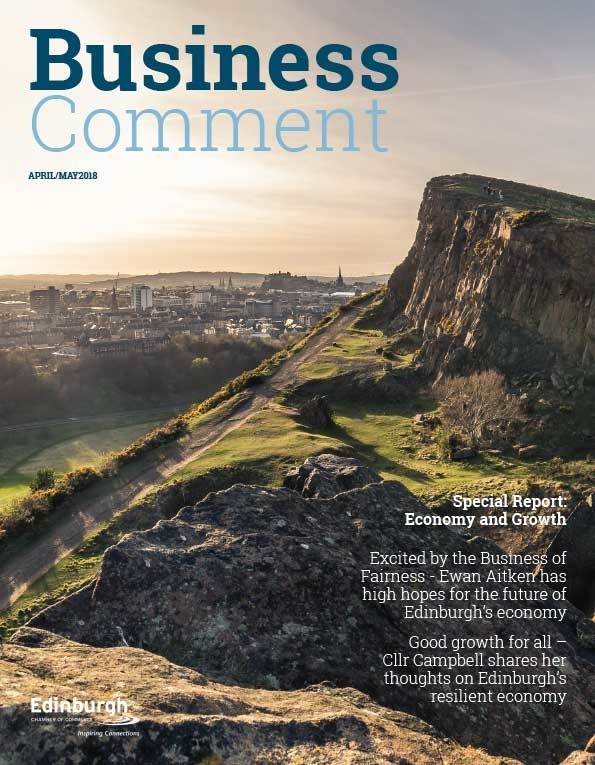 “These figures reinforce what we are hearing from businesses up and down the country – the uncertainty over Brexit, and the lack of bold moves to boost business at home, are starting to bite. “It should be a matter of grave concern to government that sales and orders both at home and abroad are stagnating. Weaker sterling is no longer proving a boon to many of our exporters, while consumer spending is failing to boost the domestic market. 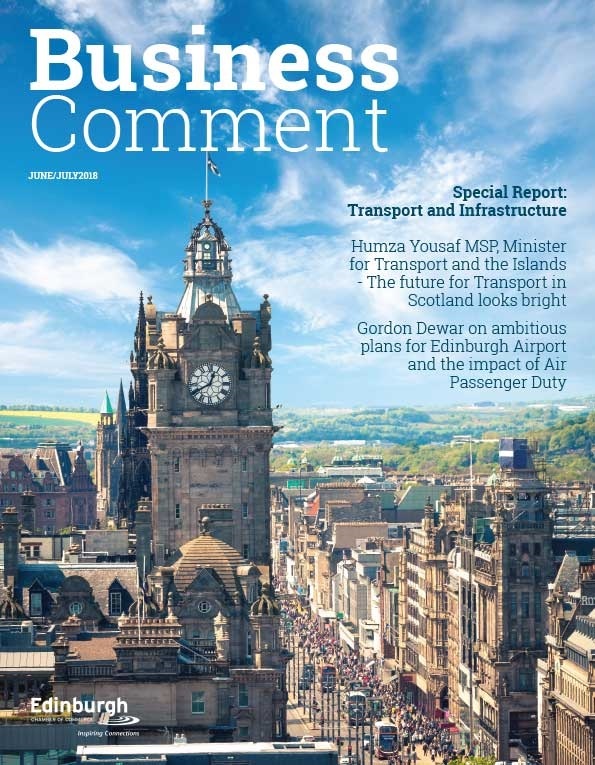 “We have a vibrant and innovative business community that wants to invest and grow, but we are stuck in limbo while Brexit negotiations rumble on. “While fewer companies are trying to recruit, those that are hiring they are finding it increasing challenging to fill vacancies. 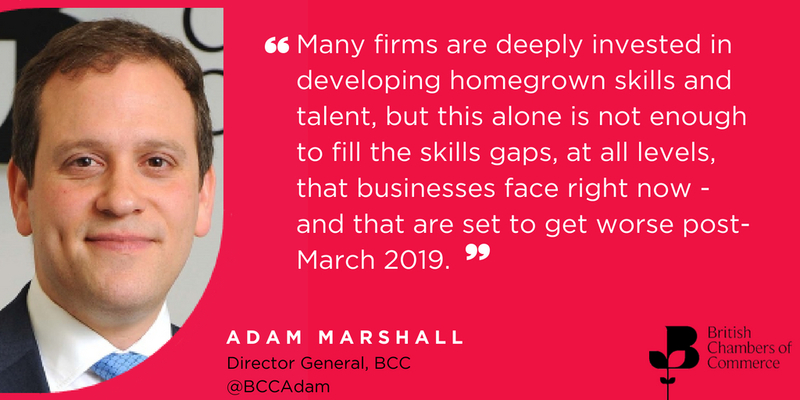 Many firms are deeply invested in developing homegrown skills and talent within their own communities, however this alone is not enough to fill the skills gaps, at all levels, that businesses face right now, and which are set to get worse post-March 2019.